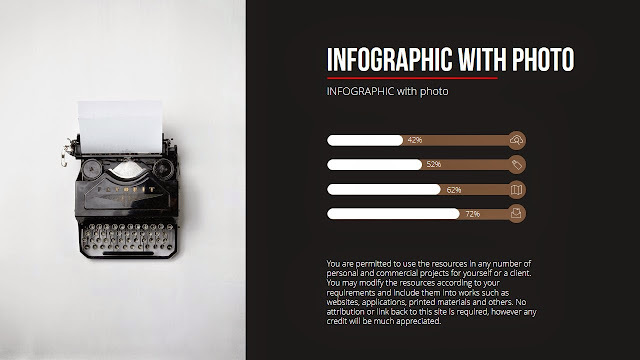 Infograhpic free PowerPoint Template with Photo Background includes PPTX(Widescreen) and PPT(4X3) version. All Elements in Template are Fully Editable. You can edit Text,color,size,etc. Enjoy Free!